Gandona Estate sits on a sloping hillside high above the beauty of Napa Valley and Lake Hennessey. Its vineyards were carved from the steep terrain and planted in three blocks, each with its own distinct personality. Each block is harvested in small batches, isolating flavor variations and then blended to create the foundation for the rich, complex wines of Gandona. 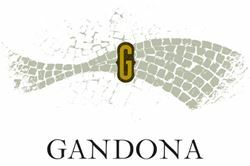 Gandona Vineyards provides a relaxing hospitality salon with both indoor and outdoor seated areas.